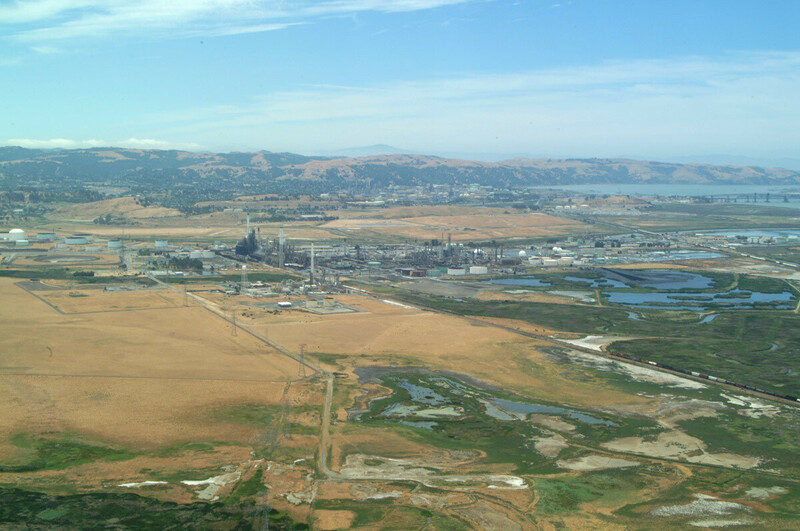 The Golden Eagle Refinery in Martinez, also known as the Avon Refinery, is one of five refineries located around the San Francisco Bay and Delta region. Valued around $1 billion, the refinery has a processing capacity of 166,000 barrels of crude per day, making mostly automotive fuels, including less polluting California Air Resources Board gasoline and diesel fuel. It was built in 1913, to process heavy crude from the southern San Joaquin Valley, to which it is connected by pipeline. It is now owned by Tesoro, of San Antonio, TX, and had previously been owned by Tosco and Ultramar Diamond Shamrock.